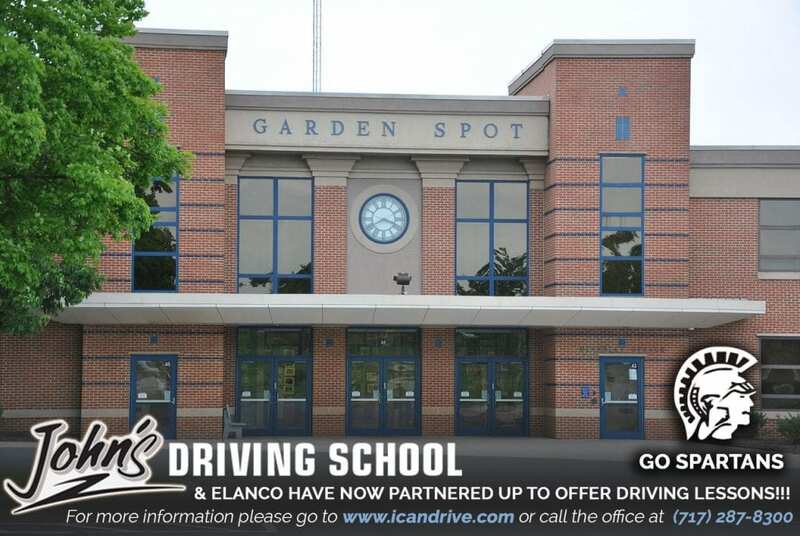 Garden Spot High School | "Doing what's right – Doing our best – Doing for others"
John’s Driving School and the Elanco School District are partnering up to offer a Behind-the-Wheel Driver’s Education Course for Garden Spot Students that consists of three, 2-Hour Behind-the-Wheel Lessons for $390. Lessons may be scheduled during school hours at approved times/periods as per District requirements. All lessons will be given by a John’s Driving School Instructor certified by the PA Dept. of Education and will be given in a John’s Driving School vehicle equipped with a dual brake. 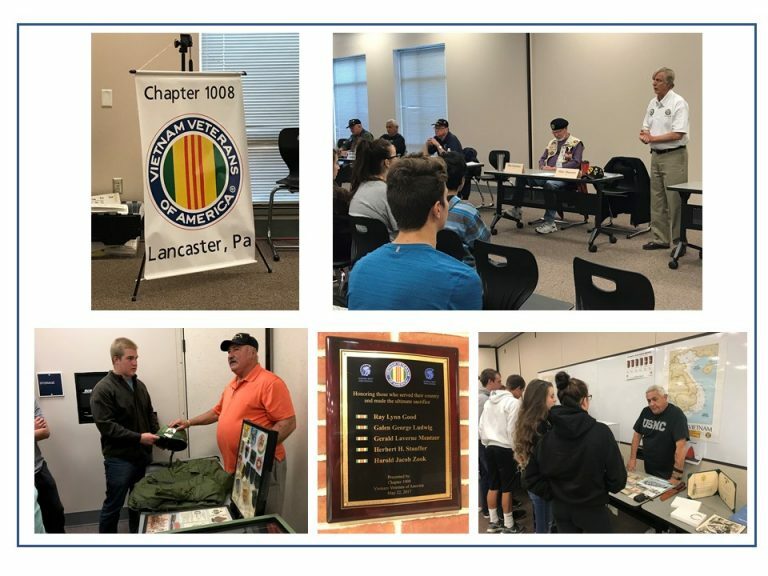 For more information, please go to https://www.icandrive.com/lancaster-elanco/, email them at lancaster@icandrive.com, or call the office at (717) 287-8300. I listen to a lot of music, and often times will hear something that I haven’t listened to in a long time and be reminded of why I thought it was so great in the first place. One of those songs right now is called “November Blues” by a band called the Avett Brothers. A line in that song that I say to my wife often during the month of December is, “bit by the cold of December I’m warmed inside your smile”. She tells me I am corny, and generally rolls her eyes at me, but it makes her smile… Somewhat like that, in the midst of the cold, seeing smiles on your faces warms our days. Another song says, “sometimes all it takes is just a smile to change somebodies weather, to take the clouds out of their skies”. It is so true, isn’t it? You never know who is having a bad day, or who woke up to a crappy situation at home for what seems like the millionth morning in a row. It’s funny how something as seemingly small as a smile can make such a big difference in someone’s life. A few more smiles, a little better day, a little less hurt, a little more friendship, makes the area around you a little better. So what does that mean? Well, it simply means that we should smile more because you never know who needs it. It’s like the bumper sticker says, “wag more, bark less”. Relationships with those around you matter, and how you treat them matters. If you have a life full of drama it is likely the result of broken relationships, and only you have the ability to change that. I often speak to students who have constant conflict in their lives and they think that everyone else is the problem. It is important to realize that if you have conflict with others on a regular basis it is likely not all of them that are the problem, but rather something in how you respond to them. While those who need to hear this message most will likely brush it off, the reality is that relationships are a two way street. You have the power to determine how you respond to those who mistreat you, and how long to hold on to the wrongs they have committed against you. You have the power to determine whether or not to get upset about every little thing that happens, or to learn how to let it go. And you have the power to gossip about those who have wronged you, which keeps the drama going, or to take the high road and let it go. You cannot control the misery of others, or their desire to cause conflict in your life, but you certainly can control your response to it. Let them drown their days with bitterness and conflict, but choose not to let those things conquer you. If you engage in the same things that you claim to be so upset about, then you are inviting their drama and problems into your life. Life is so much better when you make the decision to treat people better than they deserve. As you do that you find that people respond to you better, and your day to day is more enjoyable. As you do that you find that less people have a reason to treat you poorly, and because of that you experience less drama in your life. You also find that you become a person who others look to as a role model, and with that comes a great deal of pride. As you move through the coming weeks I challenge you to try… just try to be a person who treats everyone well. Don’t talk about others, don’t talk back to others, don’t engage in the back and forth that makes things that are not that big of a deal into something bigger than they are, and to not allow yourself to be held hostage by hostility. You can only control yourself, and I promise you that the better you treat others, even those who may have wronged you, the more enjoyable your life will be. You will find that people who used to stay away from you because they didn’t want your drama in their lives will start to enjoy your company, and those who used to have problems with you will find someone else to target with their own inability to understand and embrace the words I have written in this section. Be respectful, treat others well, put a ’10’ on the heads of everyone you come in contact with at all times, and you will find that every day is a little more enjoyable. Be a person who others are drawn to, not a person that others avoid. Your actions will determine how others respond to you, and only you can control how you treat others. Decide to live life in peace with those around you, and watch the incredible difference that it has on how much you are able to enjoy each day. Have a great rest of the week ladies and gentlemen! November’s Spartan Way trait of the month was ‘Respect’. 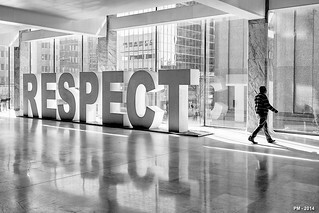 I have heard some say that they will give respect to those who deserve it, but that statement always confuses me as it is saying that one will only give respect if someone else gives it first… if both people interact from that same mindset then neither will ever respect the other because neither will give respect first. I believe that respect is treating everyone around us well regardless of our disagreements or how they have treated us… it is kindness, compassion, mercy, and grace… it is a way of living that breathes value into the lives of those around us regardless of their attitude or treatment of us. At Garden Spot High School we call this ‘undeserved respect’, and we aim to give it to every person we come in contact with in the hopes that through our behavior we will be excellent representations of how we want students and staff at our school to behave. Respect can be easily seen in our treatment of others, which includes our words and actions. I encourage each of you to learn to be respectful of all people, at all times, even in the midst of continued disrespect from the other person. I encourage you to live differently from the rest of the world, and to live in a way that allows you to make a difference in this world. Be respectful of others, be respectful of your parents, be respectful of authority, be respectful of your friends, be respectful of differences… being respectful in these areas are the best ways to be respectful of yourself. Being treated respectfully is not something that should have to be earned, but is something that should be given freely to everyone we encounter solely on the basis of the value they have as a human being. I know some would disagree with the previous statement, but I have found it to serve me well in establishing relationships that afford me the opportunity to make a difference in the lives of those around me. Be difference makers, Garden Spot… be respectful… live in a way that others will become better people through having known you. I hope you had a weekend that was as awesome as all of you… on this cold morning we eagerly await the warmth that is brought by your presence! This months Spartan Way characteristic is integrity. 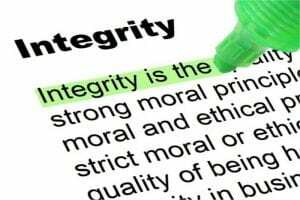 Integrity is defined as the quality of being honest and having strong moral principles; moral uprightness. This often starts with how we view the world and others around us, and so I want to take a moment to share some thoughts that I hope will challenge you to continue to develop your character and integrity. None of you chose the situations of your birth. You did not choose your parents, you did not choose your looks (hair color, eye color, ear size, etc. ), you did not choose the wealth of the family you live with, you did not choose your race or ethnicity, you did not choose your intelligence, and yet many of those things are common reasons that teenagers pick on others in school. The color of your eyes, the color of your skin, your cultural background, the money your parents have, are all things that you have no control over. Making fun of someone for the quality of clothes they wear, how they look, or the color of their skin only shows the ignorance of the person that is doing the picking. If you were blind you would not be able to make fun of people for these things, and would judge them only based on how they treat you. Then again, if you were blind people may be making fun of you… for something you had no control over. Isn’t it ridiculous? The reality is that those who treat other’s so poorly are running from something. They are attempting to compensate for a part of their being that they are embarrassed by, or a low self-esteem that requires them to derive their self-worth from how poorly they treat others. If you are friends with these people, consider whether or not you want to be known as that person. If you are that person, consider whether or not you would be happy if you knew what others really thought of you. Instead of picking on others for things that they cannot control, perhaps you should be appreciative of your fortune and work to bring joy into their lives by treating them well when others may not. How we treat those around us is how we will be defined by those who spend time with us each day… not the money in our wallet, the type of car we drive, the important titles we hold, the name brand on our clothing, color of our skin, attractiveness, or intelligence. All of those things mean nothing if you treat people poorly because there are very few who respect and look up to people who are rude. If you have ever found yourself the focus of someone else’s attack, you have likely wished that someone would stand up for you. Many of you have likely heard another student being picked on. What have you done in that moment? I think it is human nature to ignore it, or act like you don’t notice it. When it is a friend picking on someone else you likely feel somewhat uncomfortable, but don’t want to say anything for fear that your friends will no longer think you are cool. What is the reason that so few people step in and ask that the aggressor stop their attack? I would argue that we are afraid that person will redirect their attacks on us. Simply asking the aggressor politely to stop is sufficient because it lends support to the person being picked on. I strongly believe that there is more good in this world than bad, and that most people listening to someone that is picking on another person find it bothersome, but so many remain silent. I encourage you to stand up for your peers. My challenge to you is to do what is right even though you may be ridiculed for it. Stand up for what is decent and good. Live a life in which others see integrity, stand up for what is right, and you will make a difference in this school, this community, and the world. Go Spartans! Have a week that is as awesome as each of you! On Saturday, October 13th, from 9 am – 2 pm, Garden Spot High School is hosting a Buick Drive for Students Event. Buick will donate $10 to the school for each valid test drive up to 100 test drives. If the event exceeds 100 test drives, Buick will double their donation to $20 per valid test drive, for a maximum donation of $10,000! There are two restrictions: 1.) Drivers must be 21 years of age or older with a valid driver’s license and proof of insurance; and, 2.) Limit two (2) donations per household. Come out to take a test drive to help raise funds for GSHS student clubs and activities. It is hard to believe that we are almost done with our third week of school… man, how time flies! It has been a pleasure getting to be around all of you again, and we thank you for an awesome start to the school year. I wanted to especially thank each of you for how well you have welcomed the Class of 2022, our students who transferred in from other schools, and our foreign exchange students. Your kindness and character shine in your actions, and they are a large part of what makes our school so wonderful. You may have noticed that September’s trait of the month is leadership. The Spartan Way is more than a clever phrase, it is a set of principles that guide our interactions, and leadership is an important part of ‘Doing What’s Right’. Great leaders hold themselves accountable to doing what’s right even when no one else is watching, and because of that others are inspired to do the same. Great leaders treat others well, and those actions make others feel comfortable and valued in their presence. Great leaders don’t give up, even when things get tough, and they encourage those around them to keep trying even when life gets tough. Great leaders are role models, and each of you have the ability to be leaders. 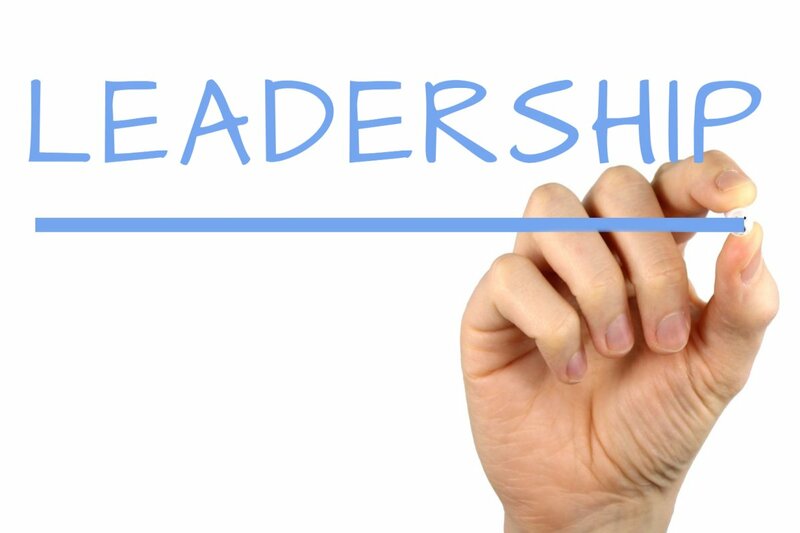 Leadership is a trait that requires doing what’s right because those who inspire us to action are those who do what is right… and great leadership inspires us to be the best that we can be. The most important thing to remember is that all of you are a leader to someone… a peer, a younger sibling, a cousin… there are people all around you who look up to you, and that is something that you need to take very seriously. Are your actions ones that you would be proud of if others who look up to you followed? I challenge each of you to be leaders, and to make a difference in this world. Each of you have it in you to do great things, the question is whether you will find ways to get the job done, or make excuses for why it was not possible. Great leaders find a way to do what is necessary to get the job done. Be leaders… live your life in a way that draws others to you… treat others well, do what is right, and refuse to give up – even when things are tough… by doing those things, you will be a leader that others will follow, and you will be able to hold your head high knowing that you are making a difference in this world. Keep rockin’, Spartans! 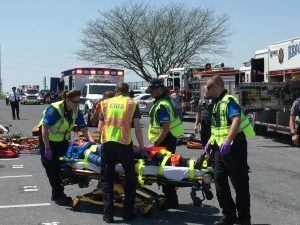 On the afternoon of May 3rd, Garden Spot High School Students had the opportunity to witness a mock vehicle crash simulation put on by members of the New Holland Police Department, local fire companies, and EMS. 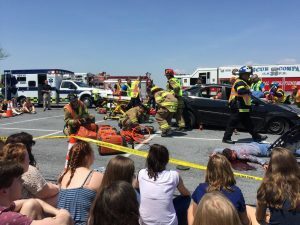 Several of our own Garden Spot Performing Art actors and actresses played the role of crash victims. 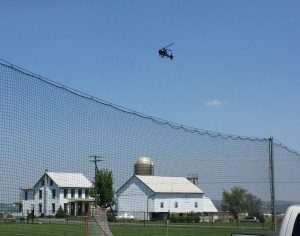 A MedEvac helicopter even made an appearance. 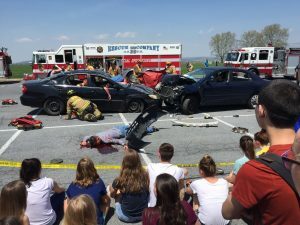 The goal of the simulation was to display the dangers and real-life consequences of driving under the influence and driving while distracted. 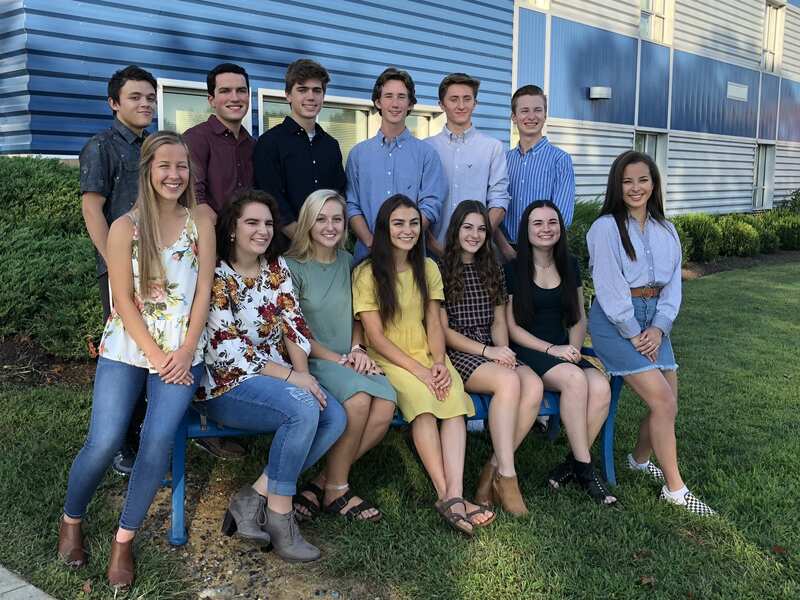 The Elanco Health Council is taking orders for t-shirts now because there are seven other districts joining us this year and the American Cancer Society (ACS) needs time to turn around the orders in each district. Every participating district will be wearing the same t-shirts in order to unite all of the districts. 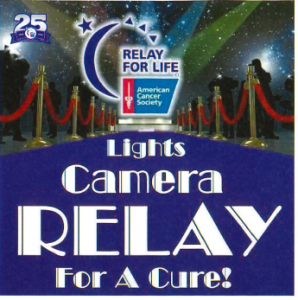 If you are interested in purchasing a t-shirt (proceeds go directly to the ACS for our event), please download the Relay for Life T-Shirt 2018 Order Form that has a larger picture of the shirt design. The cost of the shirt is $10 and the money can be sent to Julie Groft in the high school. Checks should be made payable to the American Cancer Society and the deadline to order the shirts is April 12th. You don’t need to be a student to purchase a shirt. The other districts participating this year are Ephrata, Pequea Valley, Conestoga Valley, Manheim Township, Hempfield, McCaskey and E-Town- these names will be on the back of the shirt along with ELANCO.